« Pirates, Conspiracy Theories, Oh My! 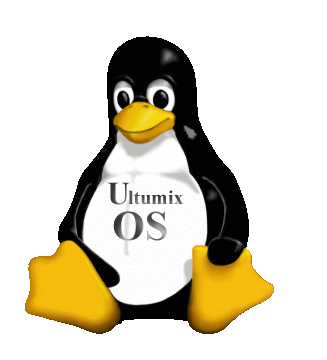 Welcome to Ultumix Linux OS. The OS designed for Windows users by previous Windows Users. Go to www.mindblowingidea.com/Ultumix to get the latest copy via Torrent (recommended) or FTP. If you want to know more about Ultumix Linux Click the FTP link and open the .pdf in your browser or read the summery on the www.mindblowingidea.com/Ultumix web page. We also will have a video demo up on our site shortly. 🙂 Ultumix v0.0.1.0 is very stable. I haven’t had any problems with it yet. Please let me know about any issues you may have in the SF.net forum. Moderators are needed for the IRC chat. Ultumix Linux is a remaster of PCLinuxOS and the source code can all be found in the PCLinuxOS repositories and in the SF.net packman project. This entry was posted on Sunday, December 2nd, 2007 at 2:49 am and is filed under *Nix, Announcements, Blogroll, Computer Rescue, Magazine, Survival, Uncategorized. You can follow any responses to this entry through the RSS 2.0 feed. You can leave a response, or trackback from your own site.